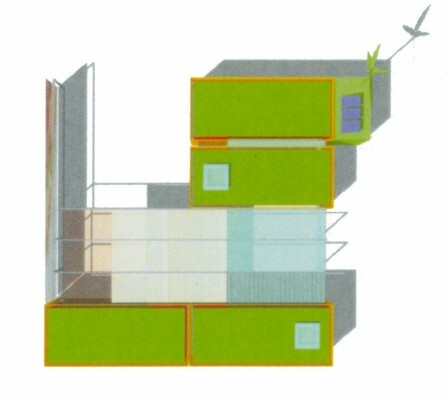 A competition winning entry the SUSTAINer environment is created around a modern system of prefabricated units. 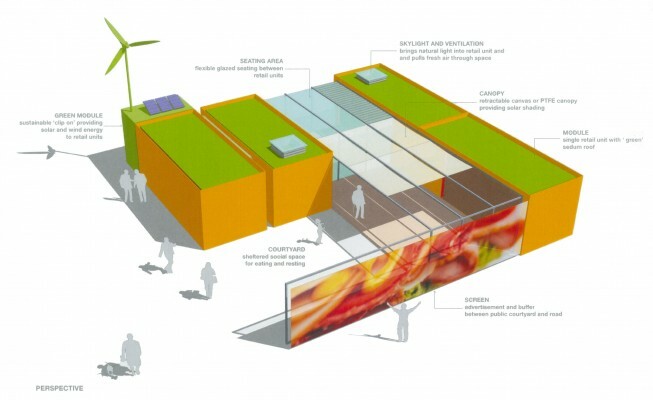 The system is developed from a kit of parts based on the module and volume of a recycled shipping container. SUSTAINer provides a flexible building solution, creating a variety of retail sizes and configurations, organized around a sheltered social space. With robust materials and sustainable systems each development will maintain low running costs and have a limited environmental impact on a site and its surroundings. 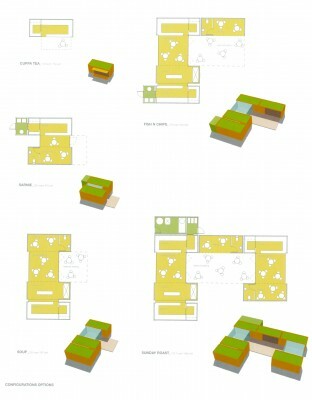 A series of configurations demonstrate the proposals flexibility. In the most basic version the kitchen unit operates on its own. Larger versions incorporate serveries, enclosed seating areas and toilets. Glazed connections between each module provide further flexibility, expanding to accommodate the social and tenant requirements.